This Picture was taken one week before Gabby earned her wings. After we removed all the hoses, needles and everything else that was in her during her last stay in the hospital. Carolynn and I took turns just holding her. I thought long about sharing this photo. She is so weak, defenseless, but I decided to share it hoping you would understand why we are determined to make a difference, why Gabby will make a difference. The doctors told us she might not have long. We didn’t believe them. She was a Vogel, she was a fighter, and she would survive. Gabriella Martha Vogel is my Hero. Gabby was so different than Maddie and Katie. She would tell you how it is. She would come right out and say NO I’m not doing that. And no book on 1-2-3 Magic would work to convince her otherwise. She also had a heart bigger than my head. No matter where we went if she got something and her sisters weren’t there, she would remind us that we should get them something. She was never super materialistic, was happy playing with whatever and whoever was in front of her. One of the most beautiful things I ever saw her do happened when she was sick. Here was a little girl who was drinking the poison called Chemo every morning, Here is the little girl that was dealing with radiation, Physical Therapy and countless other medications and procedures that I won’t share. All during this I saw her do one of the most thoughtful unselfish things a child of five could possibly do. Gabby loved a new toy called Disney Princess Babies and Princess toddlers. I remember sitting at the kitchen table as she looked through a magazine saying: “ I want this one and this one, and this one. She collected them. A little girl named Rebecca in the neighborhood also collected the babies. We were at target one day after radiation and she saw a Tiana Princess Baby from the Disney movie The Princess and The Frog. Now what you have to realize is Gabby didn’t have this one. She pointed at it and said Rebecca needs her. I explained “ but Gabby you don’t have her” It didn’t matter Gabby wanted to get it for Rebecca. When we got home Gabby wasn’t feeling well. She wanted to go give the doll to Rebecca. It was the middle of July during radiation treatment time, it was hot. We put gabby in the stroller and walked to Rebecca’s house. Gabby handed her to Rebecca. Just like that. No thought to wanting it herself, she just wanted to make Rebecca happy. On the way home Gabby got sick. But she didn’t care she did something that day that made her happy. That’s my girl, My Hero. This part of the post is not to justify the coping mechanisms people use in dealing when things like this happen. It’s my opinion and experiences. Hopefully it will help those starting on this journey, and those that aren’t on the journey maybe it will give you some understanding of the situation. Even though we were home after the first month we were still invisible. The girls went to Girl Scout camp the last two months of the summer. Carolynn and I were driving to Chop most days before they woke up and attending to Gabby all night. Whether it was cleaning up vomit, dealing with headaches, feeding, changing or enemas. We were always doing something. It was truly a horrible time for them. They lost their parents during those months. After Gabby earned her wings they coped by wanting things. Toys, games and more toys. They would get them and realize it didn’t make the pain go away and ask for another one. Trying to fill a void that couldn’t be filled. Today we try to keep them busy, art, reading, hikes, movies, just talking. They are starting to understand that toys won’t work. Carolynn is a different person now than she was before this started. She does not have time or interest in the same things that she used to really enjoy. Baking has become a chore instead of a fun activity. Scrapbooking materials have been boxed away and she does not want to look at them any time in the near future. When we were still in Phoenixville, Carolynn preoccupied herself with the chore of getting the house ready to move and packing. When we closed on the house in Delaware, she focused her energy on the new house. Now that there is no house to focus on, her focus is on the girls, the dogs, and trying to help other kids and families dealing with the same thing we went through. When she has her down moments (which happen often) she normally goes into another room and cries until she can’t cry anymore. She cries with the girls and with me. She needs hugs from all of us especially Posey. She feels there is some of Gabby’s spirit in Posey and she can sense it from time to time. She has read tons of books about death, heaven, and how to deal with children and death. She is part of an online bereavement group specific to DIPG. When she really needs to get out, she goes shopping. If you know anything about the area we live, there isn’t much shopping this time of year. It normally ends up that she goes out with the intention to hit a few stores and they all close before she gets to more than one. It’s a good way to save money! Carolynn had a binge when Gabby first passed with drinking. I think it helps to ease the pain and help you forget as well as help you pass out. This didn’t last long for her. I bought her a case of Mike’s Hard Lemonade and we moved the majority of the case with us to Delaware and it still sits in our fridge. Carolynn went to see our family doctor when Gabby was first released from the hospital to get an anti anxiety drug. Over the next few weeks, she had to go back a few times so the doctor could be sure the dose and prescription was right. By the third visit the one drug prescribed to her was tripled in strength after the doctor learned that Gabby had passed away. She is starting to wean down the strength but will not give it up yet. It helps to keep her mood flat and not have any crazy outbursts at the kids or myself. I have sat it support groups and listened to people say they lost loved ones and turned to drinking and never came back or weren’t able to stop. When Gabby was diagnosed I came home one night looking for alcohol. Now in college I drank, and after college only occasionally. Carolynn got me a case of Stella’s last Valentines Day; in May when Gabby was diagnosed ¾ of the case was still in the fridge. But when I left the hospital that night I was determined to have a drink. When I got home I saw my mother and father in law cleaned all the alcohol out of the house. I was furious. I love them dearly and understand why they did it. However they forgot one thing. I was 37 and could just buy more. While she was sick I drank. I wasn’t out of control and I only drank when the girls where in bed. A beer here and there but nothing-extreme most nights. There was no time for hangovers when dealing with a cancer child. 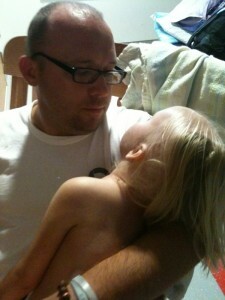 The night Gabby earned her wings, after I carried her out to the stretcher in my arms. Put the sheet over her head and kissed her. I came inside and made a Jack and Coke. I got drunk, I passed out, and I threw up in a clothesbasket. I know this sounds horrible but nothing about what happened could be explained and I lost it. The next day we had to go to the funeral home and make arrangements. After that when the girls would go to bed I started drinking nightly. Jack Daniels became my best friend. At first I would only have one or two drinks. This gave way to three or four. Eventually I was drinking a bottle a night. I know it sounds unbelievable but I was. I started to get scared because it got to the point that the night before I would drink a bottle and wake up with no hangover. I knew this wasn’t the answer so I stopped drinking back in November. It was how I coped then, I moved on and forward. I tried drugs in college (it’s okay I don’t plan to run for president) I could never truly turn to those now. I just need clarity. I have had friends in school that would smoke pot nightly. I couldn’t do that. I like being sober and clearheaded too much. But if you choose to travel this path I’m not the one to judge. Just remember eventually you have to wake up and realize you should try something else. I never liked taking medicine; don’t like the idea of being dependent on anything. However after Gabby passed and even before I started taking medication. I am a firm believer it helps and admitting it shouldn’t embarrass you. When something unfathomable happens the mind can’t deal with it on its own. Help is needed. If Legos weren’t so expensive I would probably have a houseful of them. Don’t worry I don’t, they are too darn pricey. But building them helps. You focus on working with your hands, piece by piece. I get lost in the task. Afterwards I just feel good that I created something. To bad you can’t buy preowned Legos kits like you can buy pre-owned video games! I love sitting outside watching birds with a book trying to identify them, draw them and take notes to look up later, trying to figure out what it is by it’s call. It works for me. I have always been a big reader. All of us are. Every night before bed we would sit down and read as a family. Carolynn or I would read to Gabby, The girls picked their own books. We have done this with all our girls. Kate actually learned to read the year before kindergarten! Love to read Hiaasen, Christopher Moore, civil war books you name it. Lately however I started a run on novels based on guess what? (Video games)!!! Hey at least they don’t have pictures. Started watching all types of horror and zombie movies. The cheesier the better. A lot of foreign ones as well. I think as I focus on reading the subtitles I am less in danger of drifting off to unpleasant thoughts. Basically for those that having loved ones going through this remember don’t try to figure it out. It’s impossible. Be there to listen, understand and support when needed. My family and my in-laws have been great after Gabby passed they didn’t judge or step-in they are letting things run their course. If your going through this just remember do what you need to do to cope, to survive, to get to the next day as long as you’re not hurting anyone. Don’t feel the need to apologize. But in the back of your head always remember nothing lasts forever and eventually you need to find your way back no matter how hard it may be. Last night and this morning I was in a dark place. I sat outside looking at the sky asking myself: How is it possible I’ll never see or hear Gabby again while I’m alive? I haven’t found my way back. Sometimes I go backwards. Other times I leap forward. The only thing I can hope for is that over time I am closer to where I was than where I sank to. I want to talk about the foundation again. If you read my posts you see I never really ask for a lot. Prayers, support and well wishes. But when it comes to this I’m asking. The paperwork for the foundation will be filed hopefully Thursday. Please support it. Please donate if you can. You will make a difference. Gabby will make a difference! Carolynn and I still haven’t found work. Living off of savings and hopefully something will come up soon. But in the mean time we are putting everything we have into making sure this works. A friend said to me once, if it works the foundation can become yours and Carolynn’s career. I would love to spend my days doing something that matters, helping your children, your grandchildren, and your neighbor’s kids. I don’t know if that will be possible without all your support. I told Carolynn today I don’t want to make Gabby a business. But I’ve come to realize I’m not doing that. She is the driving force for a cause. I do this for her most of all. She is not a statistic, she will matter, and she will make a difference. I can assure you, Carolynn and I are tenacious and will make sure we don’t get lost along the way. We will find the right places to send the money; we will find the families that need the most help. Gabby and your help will change the world. I hope next year I’m writing saying we donated over a million dollars to the cause. Please help that happen. My daughters are on board; we have already started planning fundraisers. I give you my word we won’t stop; we will always be someone you can turn to. I don’t care if you need to borrow my car to get your child to chemo treatments, I’ll drive you. Get Well Gabby needs you and the world needs Get Well Gabby. first, at Christmas I saw a multi-pak of disney princesses and thought how much Gabby would have loved that. I dont wanna say I enjoy reading your posts,(as i don’t get enjoyment out of reading other peoples pain) but I enjoy how refreshingly honest you are. I always cry. I have a two year old daughter. I cannot imagine going through these things, or surveing the emtional aftermath. I know that I would, somehow, just as you are….I just cant even fathom having to. God bless you all. Hopefully in time it will get easier. Good luck with the foundation. I will be reading and seeing how things are going. You are a phenomenal writer. I think your job should be to write a book – about Gabby, you, your entire family through this journey. Taking it one day at a time seems to be the way to go when bad things happen. I continue to read your posts and support your cause. I agree you should write a book about your daughters and take the monies from that and give to the cause many people love to read and i for one would buy it out of the book store.may God keep blessing you and your family and abby is ok she is waiting with her maker and waiting for you all to get where she is she is pepareing a place for you all right now believe that. wow i never realized how much someone goes thru when they lose a child i have never been thru that yet, i would never wish it on anyone ever im so sorry u are all having a rough time u know u never forget and it wont get easier but maybe in time u will all know that gabby is in a better place and always in ur hearts and when u need to talk to her u know that is always there to listen ur family is always in my heart and prayers and i like reading ur updates on how the foundation is coming things will work out for u all u have to do is believe. Hi John. Following your thoughts. I lost a student to cancer two years ago this Jan 31st. Collin Zimmer was my student in 5th, 6th, & 7th grade. He was diagnosed during Spring Break in 5th grade & we were with him as he fought the cancer that started in his kidney, moved to his lungs, and ravaged his brain. His classmates, my students still grieve him, writing on his Facebook page. I thought your mention of legos fit me – I would play BeJeweled every day just for a bit to distract my mind, my heart. Every day, students would come to my classroom to cry because they knew my heart hurt as much as theirs. And I’m not even his mom, just his teacher – I can’t imagine your heartbreak. We are doing our part to raise money for cancer research thru Relay for Life – childhood cancer is the ultimate cruelty. Prayers for you and your sweet family. Gabby is making a difference. Collin is making a difference. You are making a diffence. Much love & support! This week two dear people earned their wings. I look into the sky and see the star blinking and take comfort in knowing that they are telling me that they have no pain anymore and are there to help leas us through the next several years. We still live with terminal illness at home and wonder each day if this will be the last. My daughter can not remember a time when illness was the major factor in deciding what we will do that day or on vacation. Through you posts, it gave me a chance to realize that I too am going through stages of grief, fear, lonliness and even jealousy. I work full time, keeping my private life to myself, and then come home to fight for another day of strength to keep this family as a whole and a functional as possible. You allowed me to cry for your precious daughter, Baby Ava and many more who suffered along the way. Taking the time now, I realized that you let me cry for myself and my loved ones as well. I know what it feels like to see something and wonder why god has punished me for not allowing me to share this new experience with my loved one. The darkness is there and will always be apart of my personality. However, finding ways to help others and be there for anyone has opened up the dark skies to allow some blue, orange and yellow to seep in. I will contribute what I can, though as you know, bills are hard to pay and the needs of so many are so great. Please continue to post and vicariously help many of us cope and heal. have been following gabby, and now the family for a while. i can’t immagine the pain, and don’t want to ever know what you have gone thru. i do have a grandson with a benign brain stem tumor that was partially removed last may. so far so good. but the fear still lingers in us as we try to make life as normal as possible for him and the rest of the cousins. it was so painful at times reading what you were going thru. and knowing that yes, that could be us. please hang in there. make gabbys life help others. thanks for being so honest with us as painful as it was. we cringe but we know that we would be feeling the same and i think that is the hard part. we don’t want to immagine the pain.we don’t even want to think about how we would react to the most terrible thing to happen to a parent. we feel your pain. thank you for sharing your story with us. I agree with Jenna – your writing is so powerful. Maybe someday all of this can be used for a book in Gabby’s name. As I followed you on FB, I’ve prayed for a miracle, now I pray for your hearts to heal. (Oh, I wanted to mention that eBay does have great deals on Legos – used and new! I got a bunch of ‘retired’ Star Wars sets for my son for Christmas. And… You can bid/compare prices, etc – even more distraction! 😉 Just google everything first to make sure its a good deal.) Take care of yourself and your ladies! With Gods help and the support of All your friends and Family… You Will find your way. Believe! I think it’s Absoultly wonderful what you and Caroline are doing with this foundation. Wishing you All The Best. I would Love to contribute. Please email me and let me know how I can help. God Bless you and your family. Praying for u and your family. When I read your posts, it touches my soul. I follow about 200 children through fb and caringbridge that are all fighting cancer. It is so sad. I love them all, but for some reason Gabby was my favorite little warrior. She was just so precious! My heart still aches for your family. Know that she will make a difference! I believe!! If you get a chance to make it to the Christiana mall, there is a great little Lego store in there. There are tubes along the back wall, kind of like a candy store. Each tube is filled with a different type of lego piece, and you can fill a container with custom Legos! It’s really neat. The mall is pretty as well…and there is an ice cream place by the fountain with lots of interesting flavors. It’s been over 6 years since I lost my daughter. It was unexpected. In that moment, the world changed. I changed. I did not allow myself the time to mourn or grieve as I should have. I felt I had to be strong, for those around me. I was fooling myself. I was numb. In some ways, I have never really gotten over that numbness in most areas of my life. Even in the same room as my wife, I felt we were a world apart. To the couples who experience a loss, a bit after, go somewhere. Take a vacation, do anything. Get a short time away from your normal surroundings. This is one of the most difficult times in your life. You may just spend the whole time crying in a hotel room, but you are together, and sometimes it’s easier to talk and open up as a guy if you are out of the familiar space where all the memories are. Lose of a child as a guy seems to be much different than for a woman. Their friends support them. In an instant, all the guys around me treated me like poison. They did not know how to handle the situation or what to say. They all disappeared. It was over a year before any of my friends or church members really talked to me, and they certainly avoided talking to me about the loss or how I felt about it. In that instant, I not only lost a daughter, but everyone else around me. I did not need a speech, or a word of wisdom, or a book… just someone there. To all the guys who may read this, if a friend goes through a loss, stay by their side. When you say “if you need anything, just let me know” realize they wont let you know. They need you there. Even if they may seem distant, give them space but don’t abandon them. Ask again some other time, do you want to go to a game, hit the gym, anything. You can’t possibly imagine what he is going through unless you have been through it yourself. There is nothing wrong with that. Just be there. Remind them you are there. I believe and I believe in you and your family that you all will do amazing things with Gabby’s story!!! BLESS YOU ALL!! I am soo glad you are finding healthier ways to cope. The foundation is a great thing to focus on. I can’t wait to see the wonderful things that will come of it!! Thank you for being so honest and open. As crazy as this sounds, it helps to understand a situation that simply can not be understood, and what I can do to help when in all honestly I usually feel useless and just in the way. Gabby has absolutely made an impact on my life- no doubt about it, as have you and the rest of your family. Thank you for sharing it all with total strangers. I’m not sure that it’s always clear the impact that your family and Gabby have had on others, but please know that I for one will always remember your daughter, will be grateful for “just another normal day” with my family and loved ones, and be determined to help others suffering through a loss. Thank you John! My most sincere gratitude. Lots of love to all of the Vogels! The first time I heard about Gabby was last May at Zion and I have been following your story ever since. I am always amazed at your strength (even when you speak of your down times) and your honesty. You, your family, and certainly Gabby are amazing. I have told you this before, but I will say it again and again. Gabby has changed me, she has changed my life, and she has made a difference. . . . I believe. I think of your family when I hear the song that has these words in it (country) “When your going through hel*, keep on going. You might get out before the devil even knows your there”. Your post today describes that type of a “journey”. You guys are going through hel* but are making sure you get out of the behaviors before the “devil” gets a grip on you and keeps you there. Wow…where do I start? Your words are amazing! Your honesty is piercing! I followed Gabby from very early on. Your story…your life…your reality is something most people cannot fathom. You bring words to these moments and pictures that can’t be described. Your a true HERO! Just like Gabby! I’m a hospice nurse and I read your description of finding your way back. One patient I have just lost her husband and I noticed her wanting more and more medication. I asked her if she was in physical pain or was she wanting these meds so she could mentally check out for awhile? She cried and couldn’t believe I saw through her. Her friends tell her that she takes too much medication…I told her that she needed to listen to her own body and not anyone else. There is true syndrome out there called the Broken Heart Syndrome. People die from it. Checking out mentally is your brain’s defense mechanism to protect your heart. Most people find their way back to themselves. If you don’t try to heal your heart the rest of your body (self) won’t matter. Believe in yourself that you will make the right decisions when it comes to your healing experience. No one can tell you how to do it. Or atleast they shouldn’t. For those who do….remember this…NEVER JUDGE A SITUATION YOU HAVE NEVER BEEN IN! Love you guys! God speed! I don’t know why I am writing this ..but it’s just in me to do so …..
My father died when I was very young…I have been grieving for him for 42 years of my life … Someone who I never knew… In all those years no matter what I do where I run emptiness stands by my side and heaviness I carry in my soul… For my fathers bond ..is in me forever .. That beautiful invisible cord that pulls at us … Kites of the soul .. I am so happy you are where you are with things now. I know that it has been unimagineably hard…but you are amazing! Gabby would LOVE how you have turned the energy now toward being a voice in her memory. What a wonderful way to celebrate Gabby’s selfless spirit. I love the way you share her very being with us. 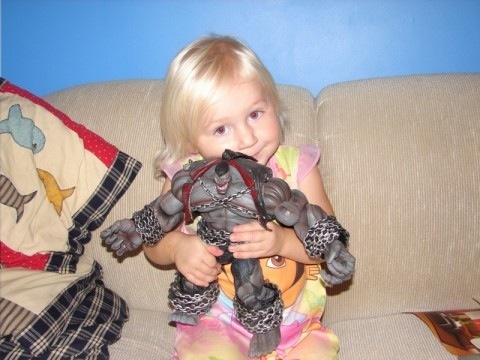 There are days when I am struggling with feeling down about all the kids I know who are fighting the monster. It is so unfair to see so many go through things that no one….especially a little one should have to endure. But when I think of Gabby….her spirit uplifts me….and enboldens me to be an advocate whenever, whereever I can. Thank you so much for sharing your story with us. You are right….Gabby HAS made a difference….she pulled countless people together to support her and others fighting this battle. And she will make an even BIGGER difference through those she inspires still today.